Love the little tomato and strawberry pincushions. My sister collects those too. i used to play with these when i was little. my mom still uses them. I love these! My mom had one when I was young that looked just like the top left tomato cushion. It makes me happy to see these and reminisce! Ahh I love these. I used to play with these all the time. My mom has one of those, and I've always been fond of it. 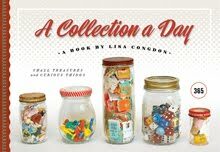 Love this collection--my mom had one of these, too. 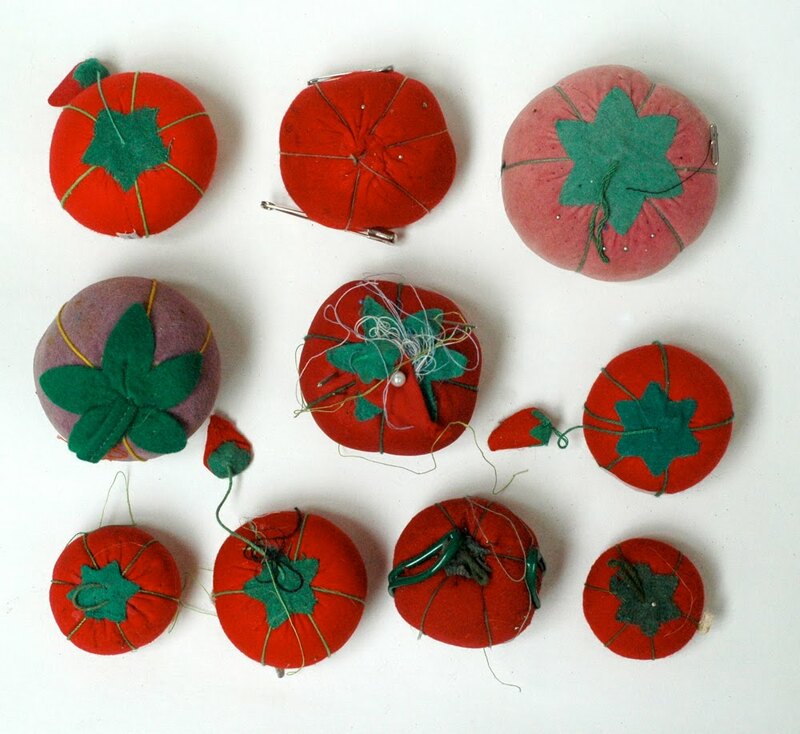 Tomato pincushion + colored ball-topped pins=hours of fun! haha, i grew up with one of these! Your collections are a delight! I anticipate the treasures to come. Thank you for sharing this with us. What a nifty little collection! I have a couple of these I bought when I first left home and now I think I need to start looking for them in the antique stores. I love these. They remind me of my grandma. She always has these all over her house. I had one of those as a child! oh my goodness...this just made me jump back in time to my mom making me the best halloween costumes every year for me...thank you for that!!! I have one of these! It was bought quite recently so they are definitely still around. Mine looks like the one in the middle row on the right.